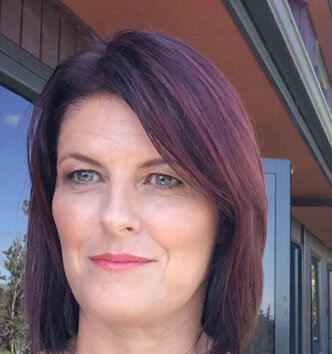 Tracey Steele is a qualified Naturopath and is passionate about the basics and foundations of good health. She feels you cannot build a house on sand – it is important to build a solid foundation. Much the same way, illness develops from poor structure and function of health fundamentals. Getting back to basics and taking responsibility of how our bodies function, is key. Tracey loves sharing the knowledge gained from 16 years of clinical experience. She does this by working with your body systems, supplements and lifestyle, pH and balancing blood sugar levels. In addition a great part of Tracey’s education centres on correct breathing with the Buteyko method. After attending our Ten Day Intensive Resolution Retreat herself, Tracey was excited at the value, on all levels, our guests gained and enjoyed sharing her expertise with other guests during her stay. “Joining the team at Resolution Retreats is an exciting opportunity for me and my clients” says Tracey. “I am dedicated to assist these special women to help others make a naturopathic difference in their lives”. She is the mother of two amazing children, 16 and 9 years. Tracey also contracts to Health 2000 stores throughout New Zealand offering clinical naturopathic expertise. She thoroughly enjoys the staff education, lectures and free clinic days she offers to Health 2000’s loyal customers. “Regaining health is achievable with knowledge and desire” says Tracey. Tracey knows improved health does not have to be hard to achieve.